Water resistant plasters, made of skin friendly perforated material. Elastic textile plasters, allows the skin to breathe. 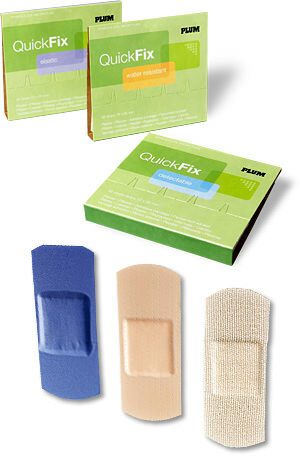 Detectable plasters with build-in metal strip for use in e.g. the food processing industry, sterile and water resistant, made of skin friendly perforated material.